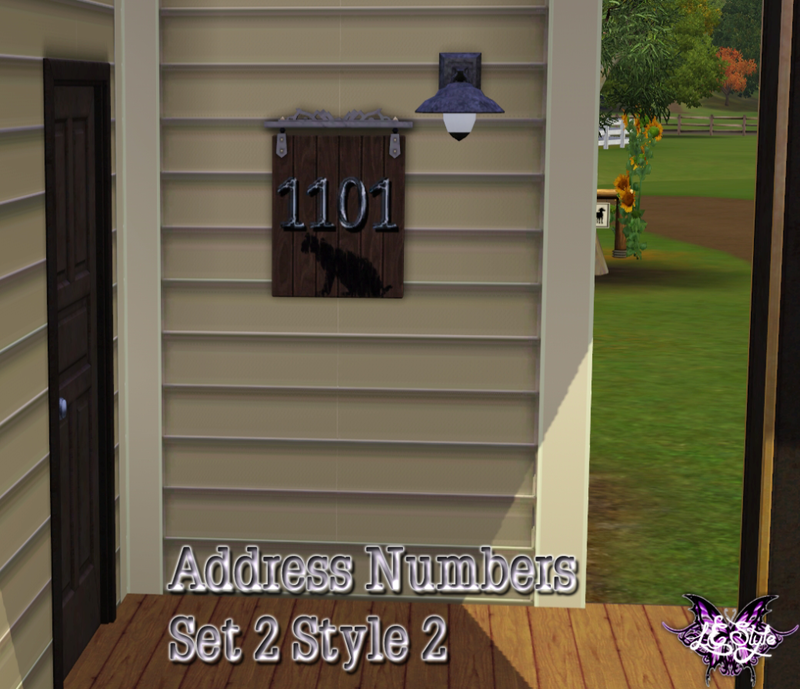 I plan on having at least 3 styles and 9 sets of Address or House Numbers for your sims homes. I may do more than that, but I think enough for 10 up to 30 homes is enough. I could do more styles, so if anyone has a style in mind they would like to have, please ask. Please note you need to have Ambitions installed to use this set, as I used one of the paintings from this pack as a mesh. However, I will be looking for different meshes to use that may not require to have a certain EP. 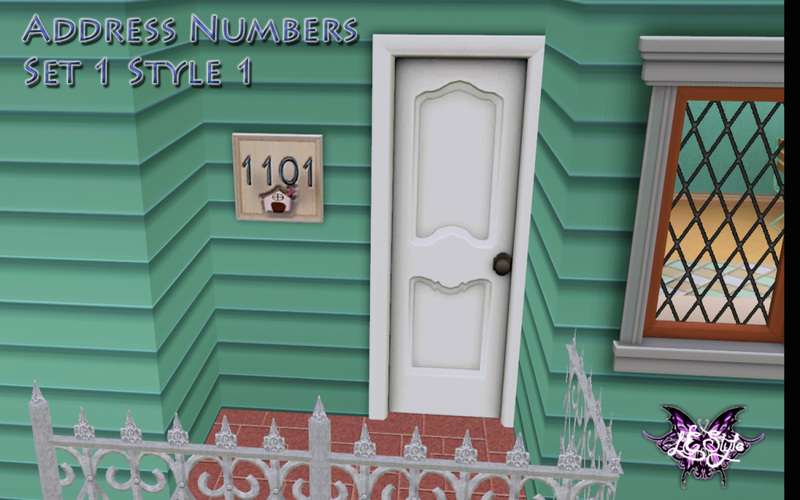 This set ranges from 1101 to 1110 and can be found here. This set requires Pets and is the second style in the series. These look really nice LE! This is very clever LE! I love the little touches that make our Sims more realistic! Love this! Will definitely have to download this later. I just haven't gotten around to it yet . All ya really need is a good floor plan to go off of. That's where I get the basis for some of my lots. Speaking of, I need to add to my real estate thread. kinda slacked off lol. But there is a challenge there as well for designing lots with a floor plan. Kept it simple for the first challenge.